With a mission to facilitate enterprises through technology solutions, Think Technology Services was founded in 2005. Since then, it has worked ceaselessly to bring about digital transformations in the way its clients run their businesses, by helping them simplify, automate, set-up business systems, communicate more rapidly and efficiently, generate better sales, deliver customer delight, garner more accurate analytics and make headway in numerous other processes and business verticals that enhance efficiency and boost bottom lines. Think Technology Services has forged a partnership with Google Inc., IBM, Dropsuite, SoftLayer Inc., NetHunt, FreshDesk and others to provide most suitable solutions and maximum value to its customers. With its base in Mumbai and associates in New Delhi, Dubai, Johannesburg and Denver, USA, today, it provides services to over 800 clients, globally, including Saraf Hotels (Hyatt Group Owners), Saurashtra Cement Ltd, Kolkata Knight Riders, Gujarat Foils Ltd, GM Modular, Kangaroo Kids Education Ltd, Tata Housing, Omkar Builders, Poddar Housing Ltd, etc. With technology becoming a key facilitator for enterprises, Small and Medium-sized Businesses (SMB) are increasingly leveraging it to scale up and upgrade various KPI. At the same time, the need for digital safety has been gaining significance, with the rising incidence of email hacking, spoofing, phishing attempts and other security breaches. In this evolving scenario, SMBs have been seeking solutions that are tailored to meet their digital safety requirements at affordable costs. Sensing this crucial need, Think Technology Services has partnered with global leaders in this domain for a host of solutions that enable SMBs to secure various aspects of their email and web presence. Secure cloud email solutions from Google, Icewarp & Dropsuite help its customers upgrade to a more secure, reliable and compliant email infrastructure. Expressly designed to protect websites and web applications, by scanning and removing any malware encountered, SiteLock Website Security from Think Tech safeguards websites from breaches and viruses. Another of its valuable solutions – CodeGuard’s cloud backup – enables businesses to recover website data instantly, in the event of server crashes that would otherwise have resulted in data losses. In tandem, Cloud Access Security Broker (CASB) offers security solutions to bridge security gaps between the enterprise and the cloud. Another revolution, this time in communications, that smart SMBs are riding, is social media. Enterprises realise that their customers are having conversations about them everywhere and being on top of these could not just offer substantial learnings but enable faster responses and personalized interactions while making conversations seamless across channels, amongst many other advantages. 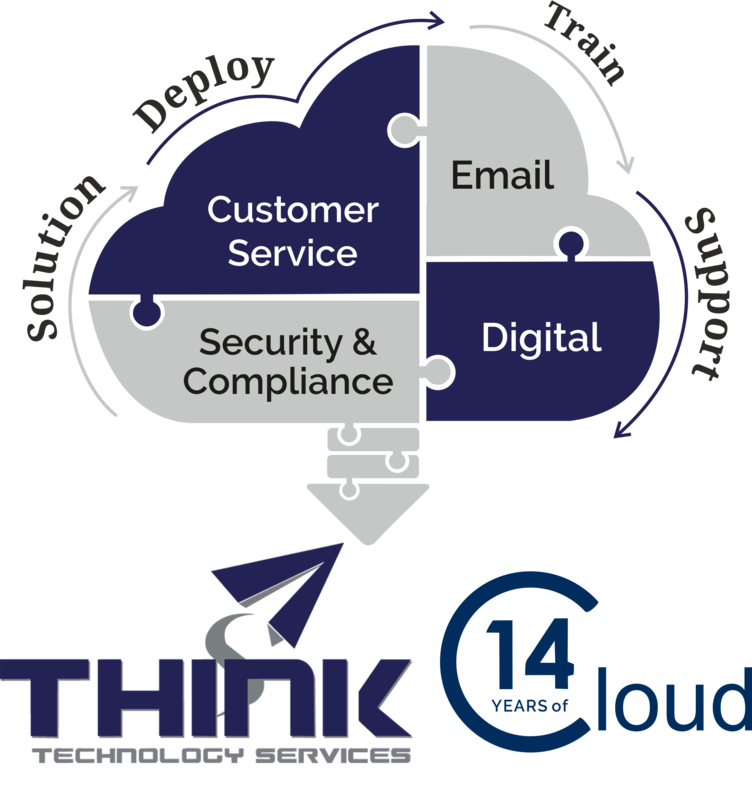 Think Tech, with its solutions such as the Cloud hosted Support Ticketing System, helps customers to track and sort/prioritize/direct customer conversations, which enables structured responses and provides analytics to the management. “I truly love the thrill of working with a dedicated team of passionate members and meeting MDs/CEOs/CTOs/ IT & Marketing Heads of large corporates and SMBs to change the way their businesses use the web. Bringing about changes that add immense value to such businesses is the true yardstick of Think Technology Services’ success and achievement,” concludes Adhir Varma.